I highly recommend gazing through the site or printed pages if your any sort of rennesance man or woman. found this blog once, then lost it. Took me forever to come back and find it. 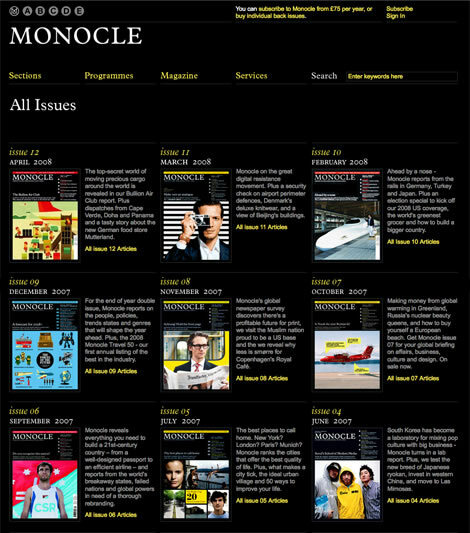 I think that monocle is good website. Recommend to visit it!